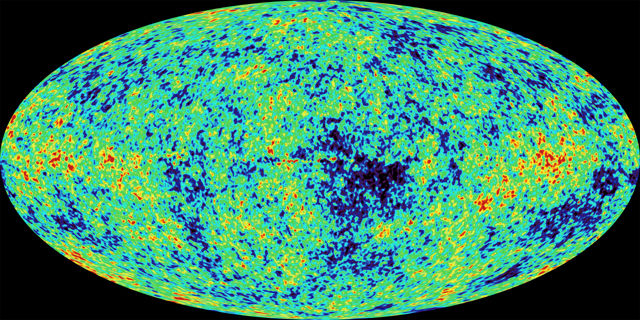 This entry was posted on January 6, 2009 at 6:18 pm and is filed under The Universe and Stuff with tags Antarctica, astronomy, Big Bang, Cosmic Microwave Background, Cosmology, Fourier Transforms, spherical harmonics, WMAP. You can follow any responses to this entry through the RSS 2.0 feed. You can leave a response, or trackback from your own site. Really enjoying your blog by the way. Nice pictures ! I just attended a WMAP seminar by Joanna Dunkley and asked her about the phase information. She repeated the standard line that “there’s no evidence for non-Gaussianity” but nobody ever actually shows you the phase spectrum… Your pictures made me think that in fact the phases must also set a limit on how well the foreground has been removed … But this is getting too techy for a blog So I will stop there. I think I’d put it a little bit differently. I think there is evidence for non-Gaussianity (and have actually published a paper demonstrating so), but what we see is probably consistent with being foreground contamination. Even in the WMAP 5-year data it is only the low-l modes that are anywhere close to being clean anyway. I’d agree with the statement that there isn’t evidence for primordial non-Gaussianity but foregrounds are a big problem for anything more sensitive than the blunt instrument that is the power spectrum.